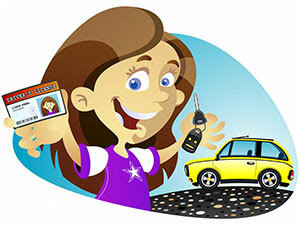 Driver Ed in a Box® makes it easy to get your license in Florida, and you can start the permit stage at age 15. Prior to applying for a permit, your teen must complete a 4-hour Drug Alcohol Traffic Awareness (DATA) course. To drive-collision-free, you need Driver Ed in a Box®. Only Driver Ed in a Box® provides you and your parent with the tools to create and build your habits of collision-free driving. Florida Highway Safety and Motor Vehicles.